Marc Suhrcke is a Professor of Global Health Economics at the Centre for Health Economics (CHE). He joined CHE in June 2014. From 2008 to 2014 he was Professor for Public Health Economics at the University of East Anglia (UEA), Norwich, where he was also part of the UKCRC funded Centre for Diet and Activity Research (CEDAR), and of the Department of Health-funded Policy Research Unit on Behaviour and Health (BHRU). Prior to UEA he held positions with the World Health Organization, the UNICEF Innocenti Research Centre, the University of Hamburg, the European Bank for Reconstruction and Development, the Centre for European Policy Studies (Brussels), the European Commission (Brussels), and the Hamburg Institute for International Economics. 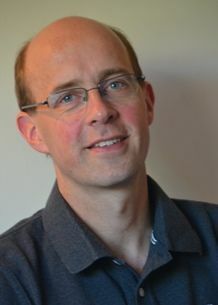 His research revolves around a range of economic and econometric aspects of public health in low, middle and high income countries, which includes the micro and macroeconomic consequences of (ill-)health, the economic evaluation of public health interventions, the measurement of socioeconomic inequalities in – and determinants of – health, and empirical policy impact evaluation. His work has been funded by the World Bank, WHO, the European Commission, DFID, the Global Fund to fight AIDS, tuberculosis and malaria, the European Centre for Disease Prevention and Control, the NIHR, the MRC, the ESRC and others.